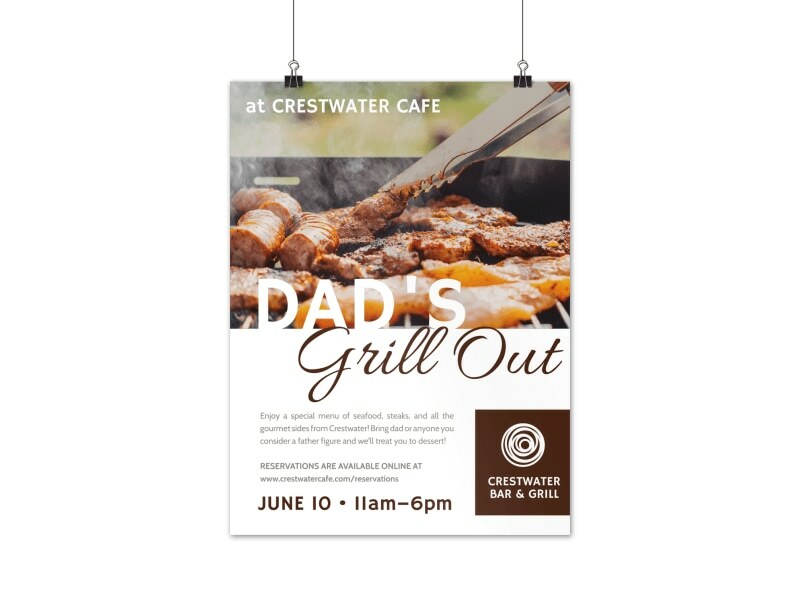 Customize our Father's Day Grill Out Poster Template and more! 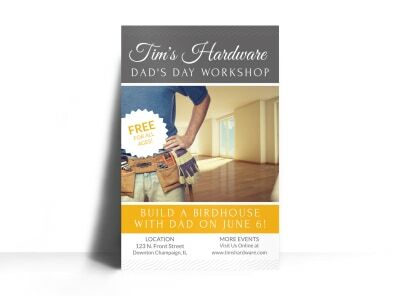 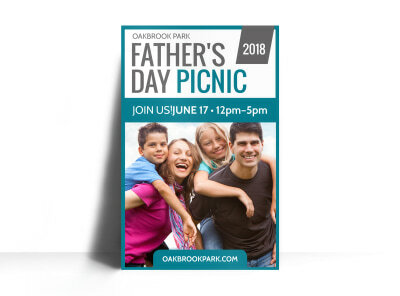 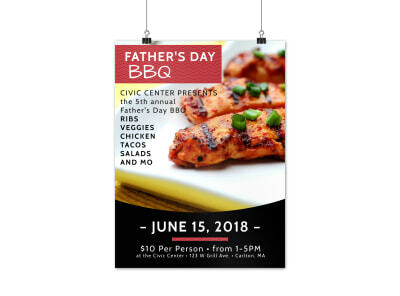 Father’s Day and grilling out are synonymous, so get the word out on a father’s day promotion or other messages with this customizable poster. 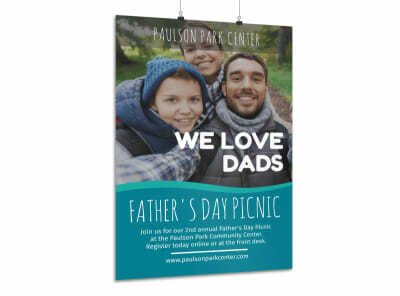 Bring your poster to life with mouth-watering images, catchy text, fun colors, and more. 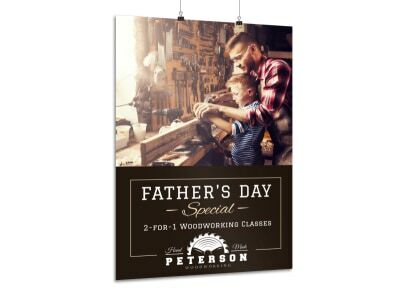 Customization is limited by your imagination’s bounds, so get busy on your poster design today.